Outstanding value for this 3 bedrooms, 2 baths Foxglove Courtyard Villa located in the very peaceful Village of Calumet Grove. Shopping, recreation and medical facilities are close by. This Turn-key home is located on the end of the street, situated on the beautiful Oakleigh golf course, with wonderful elevated views of the golf course and a large pond. 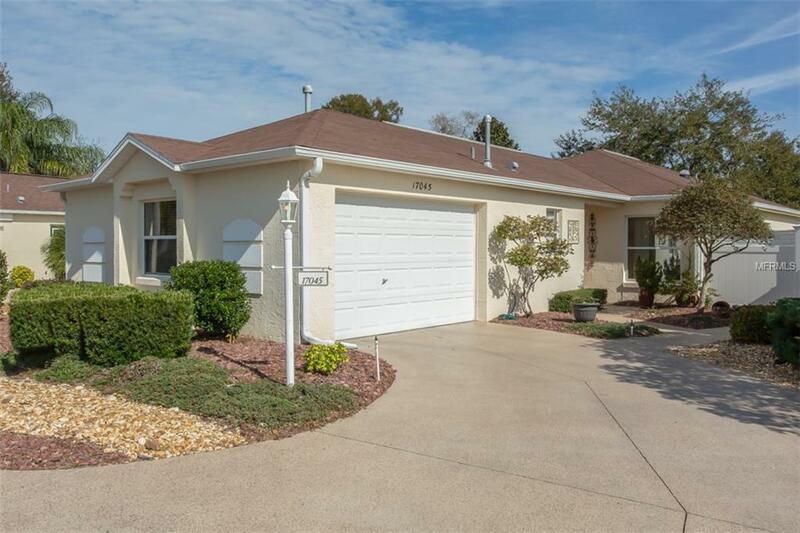 The home is in absolute move in condition with very nice furniture, neutral colors, vaulted ceilings, plantation shutters, with all laminate and tile flooring. The kitchen features vaulted ceilings, tiled backsplash, Corian countertops and pendant lighting. The large living/dining area looks out onto a large lanai with an oversized, wraparound birdcage. The large master bedroom has a separate set of sliders leading out onto the lanai and birdcage with vaulted ceilings and the bath has a walk in shower. The garage has extra storage with pulldown stairs and a work bench. The yard is nicely landscaped with no grass to maintain. THE BOND IS PAID and the home comes with a one year home warranty. The roof was replaced in 2011. This is a must see. Ad Valorem Taxes $2,324. Non Ad Valorem Maintenance $317, Fire $194, Waste and Storm water $98. Amenities Additional Fees $159.00 PER MONTH AS OF 10/1/2018.